SODELPA leader Sitiveni Rabuka speaking at a party rally. SODELPA rode with more seats to Parliament after a strong pro-indigenous campaign riddled with misinformation. The campaign targeted the iTaukei in the rural/maritime and urban areas who previously voted for FijiFirst. It appealed to their base instincts and was successful. This was particularly so in areas not visited by FijiFirst candidates in the last weeks of the campaign to counter the misinformation. iTaukei land was sold and lost through unscrupulous deals allowed under the current laws. This was false. No land has been sold and lost. It is protected by the 2013 Constitution. In fact traditional iTaukei land has grown after the return of land held for State purposes. Of the 20 cents plastic levy – 10 cents went to Prime Minister Voreqe Bainimarama and 10 cents to his deputy Attorney-General Aiyaz Sayed-Khaiyum. That was another blatant lie. Mr Bainimarama and Mr Sayed-Khaiyum were paid hefty salaries because they held multiple portfolios. If the politicians who spread the lie had bothered to check their incomes which were published by the Fijian Elections Office for public scrutiny, they would not have perpetuated a lie started by social media. iTaukei have lost control over their destiny under FijiFirst. What has in fact happened is that iTaukei governance has been strengthened to stop the abuse of iTaukei interests and resources for the benefit of an elite and privileged few. Today more opportunities have opened up for iTaukei to share the benefits of a growing economy through new initiatives like the equal share of lease money among mataqali (landowning unit) members. For FijiFirst, it’s a lesson learned that it needs to strengthen its rural messaging to counter the lies and misinformation. Under normal circumstances, the unprecedented number of Government initiatives rolled out across the country in the last four years should have been enough to carry FijiFirst to a bigger victory. 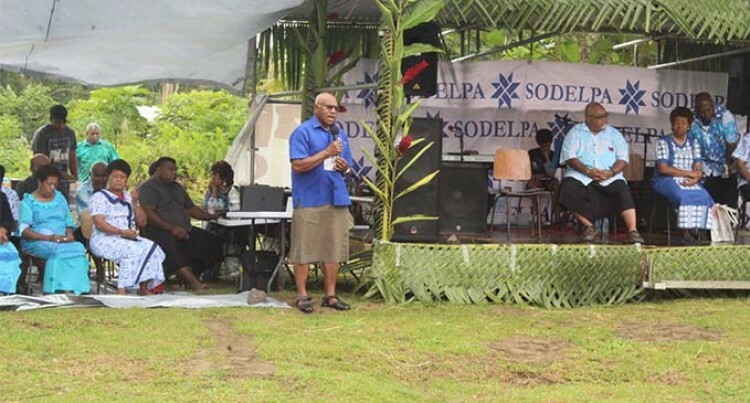 In the final days of the campaign, SODELPA, National Federation Party and Unity Fiji were left to their own devices in a number of rural locations. In SODELPA’s case, it used audio recordings and pocket meetings to spread their false propaganda. FijiFirst was not there to counter them. There is no doubt FijiFirst has taken that into account going into the next four years.